We feel extremely honored to stand amidst well-known wearable armour exporters. The wearable armours exported by us are fully functional. 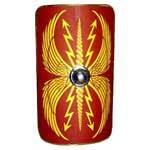 We offer ample range of medieval armours that are aesthetic in appearance. 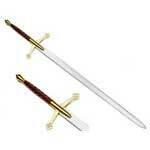 They are perfect replicas of the weapons used by the warriors of the ancient times. 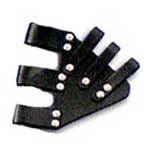 In addition to providing great protection, they are suitable for going in costume parties. 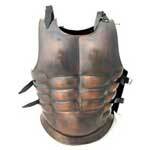 These medieval samurai armours exported by us are built from high quality raw materials. Our staff maintains commitment of providing historical accuracy armours. 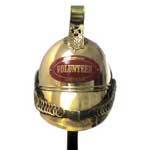 We supply these armours as per the clientâ��s requirements within the stipulated time period. 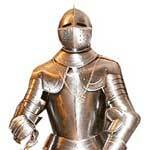 We are reckoned as one of the most prominent Chainmail Armor exporters from India. The unmatched quality and inexplicable look of the Steel Chainmail Armor has attracted various national as well as international clients to place bulk orders. 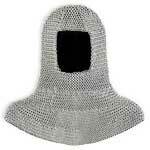 We also provide Medieval Chain Mail Armor in the array to meet the specific needs of the clients.